On the weekend, I went out for supper with my sister-in-law and her kids. 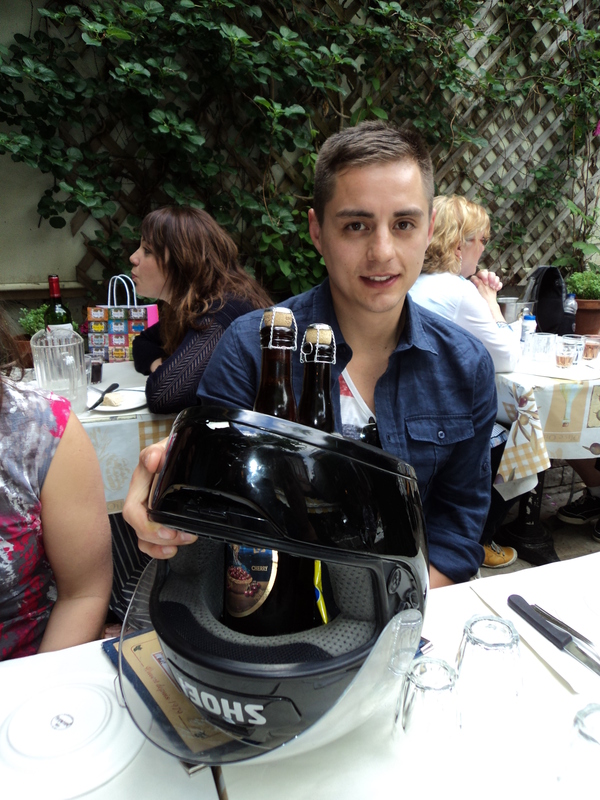 My nephew arrived carrying two beer bottles tucked inside his motorcycle helmet. I loved his unique carrying case. It made me laugh. This post is part of the Weekly Photo Challenge: Extra, Extra. This entry was posted in Uncategorized and tagged Canada, Montreal, photography, postaday, Weekly Photo Challenge. Bookmark the permalink.